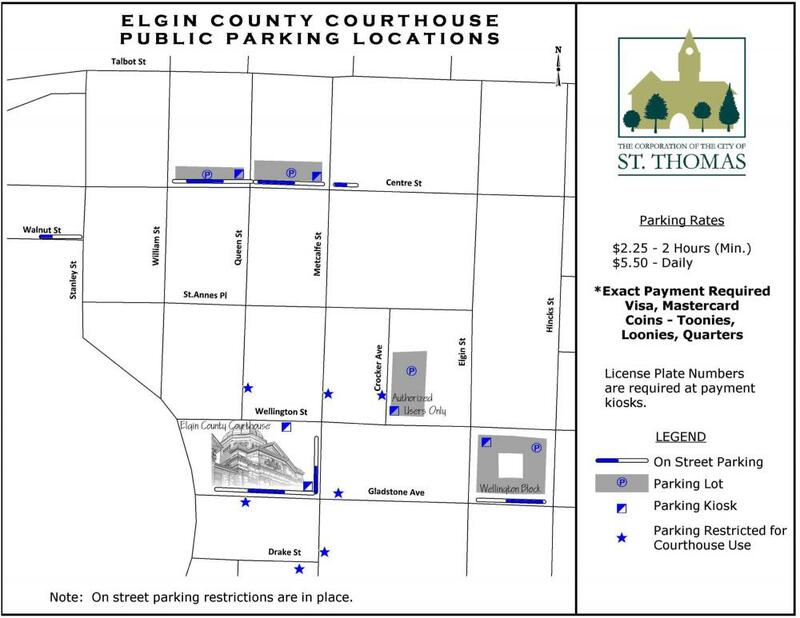 The Elgin County Courthouse was originally designed by architect John Turner and built in 1854. After a fire in 1898, the original building was repaired and enlarged by architect N .R. Darrach, resulting in the present Palladian style, expressed by its symmetry, rectangular and round-arched openings, and by the use of classic detailing, the whole culminating in a look of serene dignity. The Courthouse has recently finished extensive renovations. Feel free to take a walk around the grounds and within the courthouse and enjoy the interpretive panels about the origins of the courthouse. Click for Virtual Exhibit Courtesy of the Elgin County Archives.